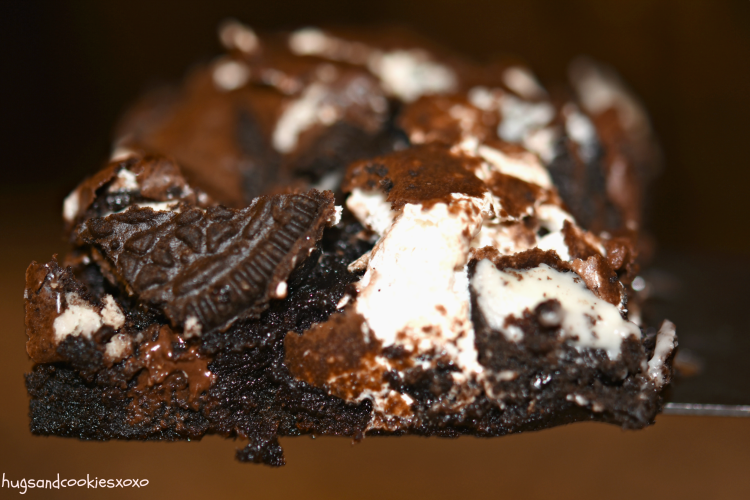 This recipe for Oreo Marshmallow Brownies is delicious, easy and not very exact! 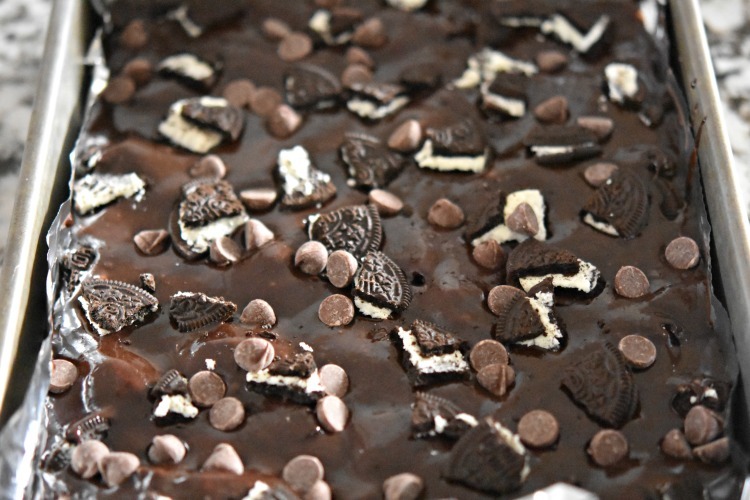 You can use as little or as much of the marshmallow creme and oreos as you like! 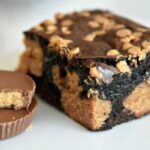 This is a very forgiving recipe that you can basically eyeball. 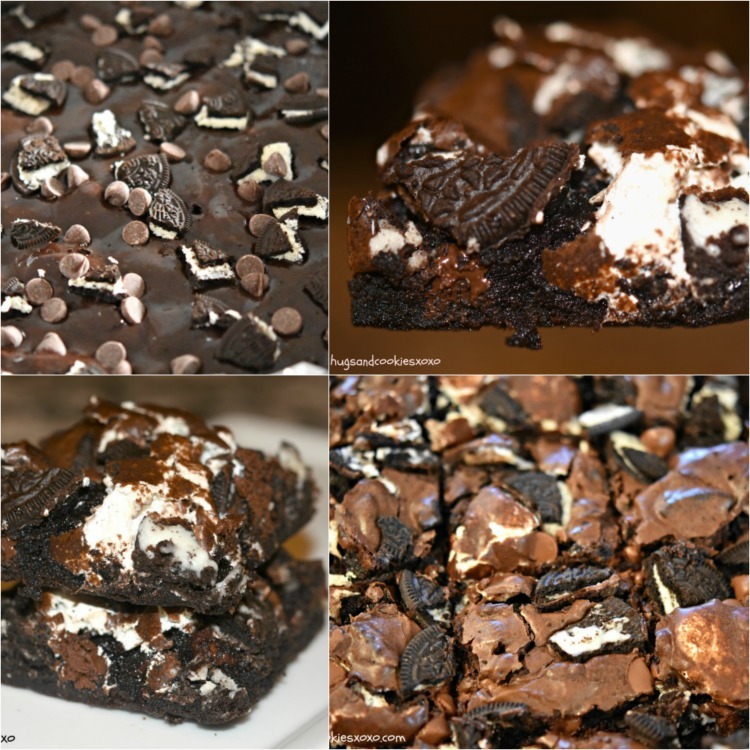 You’ll need 2 boxes of brownie mix and you will prepare each one according to the box directions. 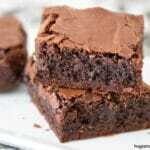 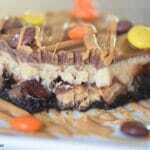 I like to use Betty Crocker Dark Brownie Mix! 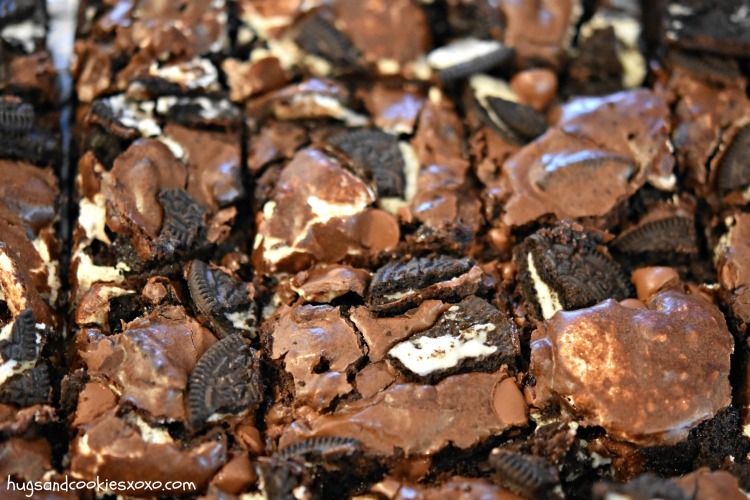 Pour half of the brownie batter into a 9x13 pan lined with nonstick foil. 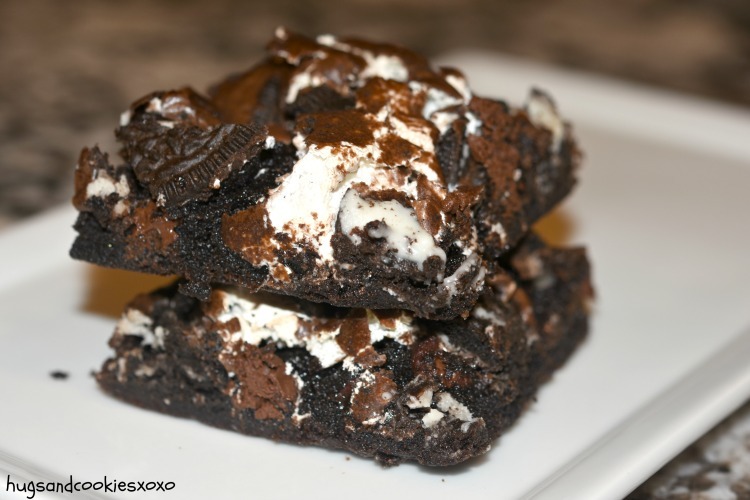 Top with dollops of marshmallow creme and crushed oreos. 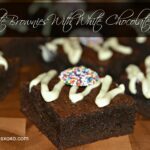 Pour on the rest of the brownie batter.